THE WORKS OF EDITH WHARTON (32 Complete Books And Much Poetry) This Deluxe Collection Also Includes Photos, Illustrations, Favorite Wharton Quotes, and Many BONUS Entire Audiobook Narrations. ** Featuring Dynamic Chapter Navigation & Top Quality Professional Formatting for a Premium Reading Experience. 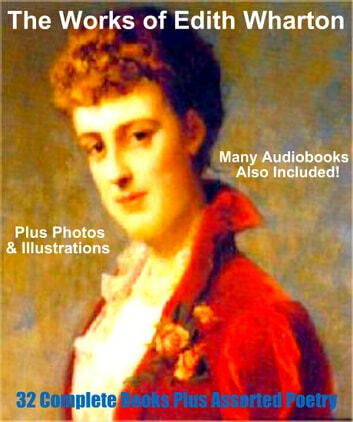 Edith Wharton; born Edith Newbold Jones, January 24, 1862 – August 11, 1937) was a Pulitzer Prize-winning American novelist, short story writer, and designer.